What do you think when you hear Chanel? Classic? French? How about Texan? 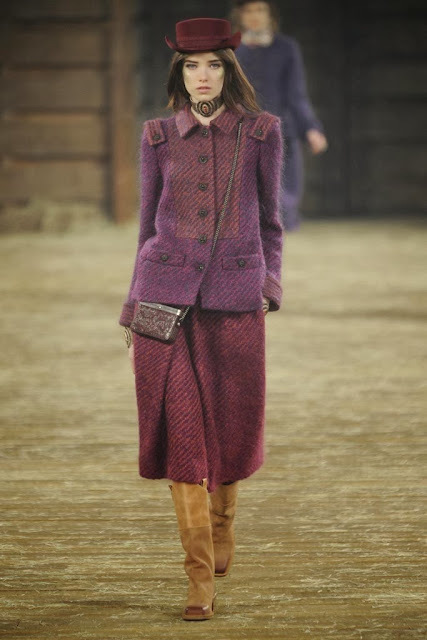 Well that's exactly what we got in the Chanel Pre-Fall 2014 show held in Dallas back in December. 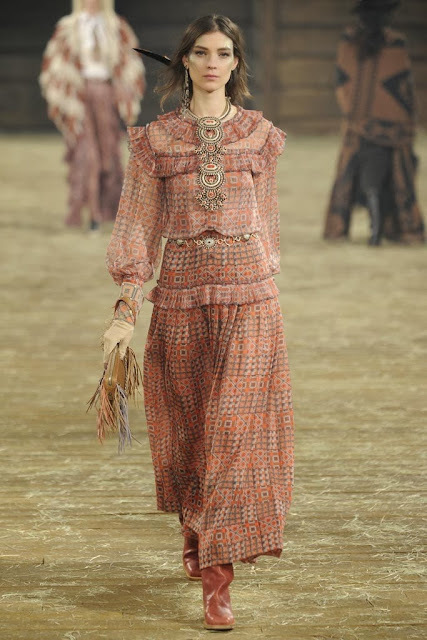 I love all the western style infused into the collection. 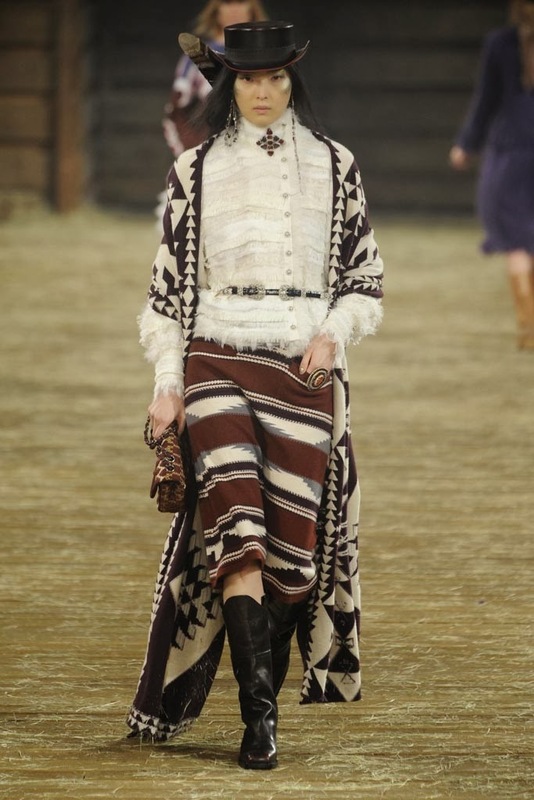 The aztec prints, fringe, and cowboy boots are a great change from what we usually expect from Chanel. 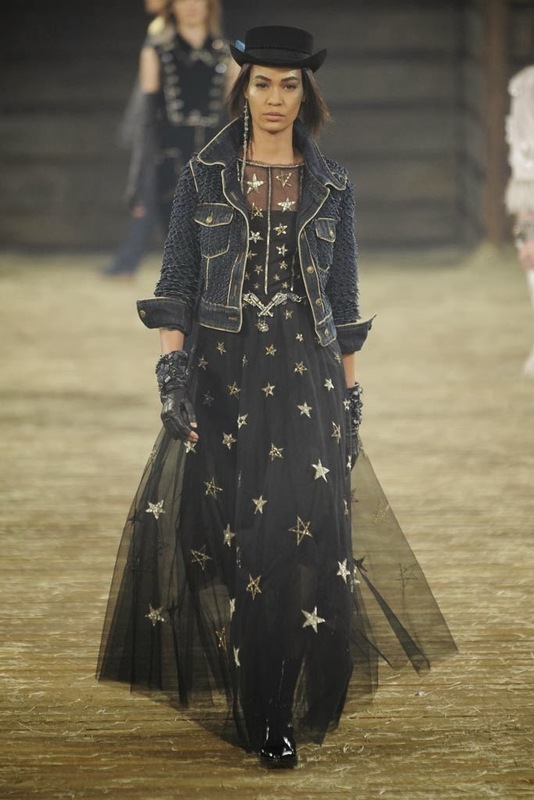 Although, I think lately we've learned to expect the unexpected from Karl Lagerfeld. some really awesome pieces... love all the long layers and the little details on the dresses. I'm more of a fan of the softer looks in the last few photos. Oh, and that black fringy bag is super cool! I did not like it. It felt too Ralph Lauren to be Chanel. WOW you're absolutely right - this is not what I'd expect from Karl! Then again, this aztec-genre is veeeery popular right now. Props to him for making the look more chic and less grungy. Wow, I love it. 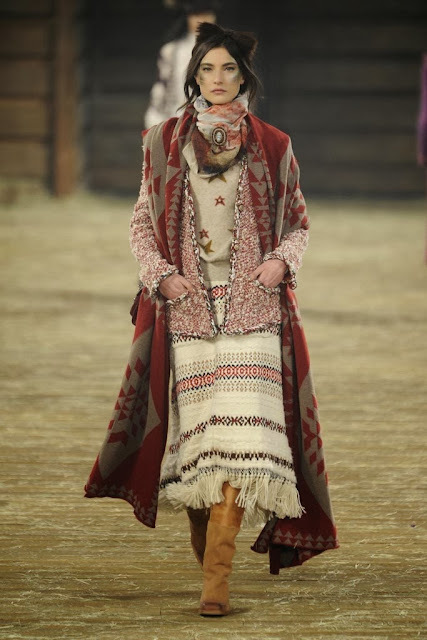 It's western but with a feminine softness. I basically was drooling over all of these pictures! I am sort of obsessed even though its not the Chanel we are all used too!